Tap this page for LHC Jobs | Lahore High Court Jobs 2018 Application Form Download www.lhc.gov.pk Apply Online | jobs.lhc.gov.pk. Today at this well-known job portal you are going to have the Lahore High Court is looking to hire the most educated, experienced and well-disciplined applicants to fill out the following vacancies which are named as (Caretaker, Assistant Protocol Officer, Junior Clerk, Data Entry Operator, Web Associate, Auto Mechanic, Cook, Daftri, Driver, Helper, Naib Qasid, Mali, Dust Loader/Dusting Coolie, Farash/Farash Man, Technical Operator, Store Keeper, Sub-Engineer (Electrical), Sub-Engineer (Civil), Cashier, Telephone Operator, Telephone Technician, Washer Man, AC Mechanic, Senior Auditor, Junior Auditor, Chowkidar/Watchman, Book Binder, Bearer/Waiter, Sweepers/Sanitary Worker) has been announced by LHC to be filled as soon as possible. All the Punjab domiciled applicants are welcome to apply for above post. It is the finest opportunity for the residents of Lahore and other districts of Punjab to be part of this Government Justice Institute which offers handsome salaries and other fringe benefits to its employees. LHC is the abbreviation of Lahore High Court which is Justice providing institute working under Ministry of Law and Justice, it was established on the 21st of March 1919, it has benches different cities like Rawalpindi, Multan, Bahawalpur and etc. All-District and Session Courts in Punjab are also working under LHC’s rules and regulations. LHC Jobs are Government Sector jobs announced for the both well educated and literate persons of Punjab and latest Lahore High Court Jobs 2018 | LHC Jobs 2018 can be examined from this page announced today. Candidates wanted to apply should possess any of the degrees for the relevant post such as Bachelors/Intermediate/DAE/Matric/Middle/Relevant Diploma with maximum experience in relevant field. Not less than 18 years and not more than 30 years. Before submitting an online application every applicant has to pay the examination fee of Rs. 1000/ & Rs. 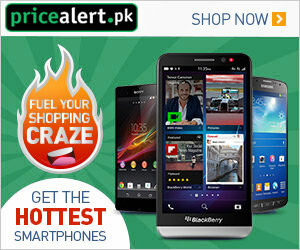 500/ in favor of Lahore High Court in a/c # 0527549781001128 in any online branch of MCB. Put deposit slip number in an online application form. Once the form is submitted, it can't be edited and no change shall be permitted and no application/request for changing/addition of details in the application form against the applied posts will be entertained. Last Date to Apply: June 11, 2018. 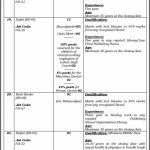 Above Lahore High Court Jobs 2018 Application Form Download www.lhc.gov.pk Jobs 2018 Apply Online for LHC Jobs 2018 jobs.lhc.gov.pk Application Form for the numerous vacancies announced from BPS-16 to BPS-03 for which Graduation/Intermediate/DAE/Matric/Middle pass Punjab Domiciled can apply before the due date.